The 2020 Javelin South Pacific and Australian titles will be held at Lake Cootharaba Sailing Club, on the beautiful Sunshine Coast in Queensland. 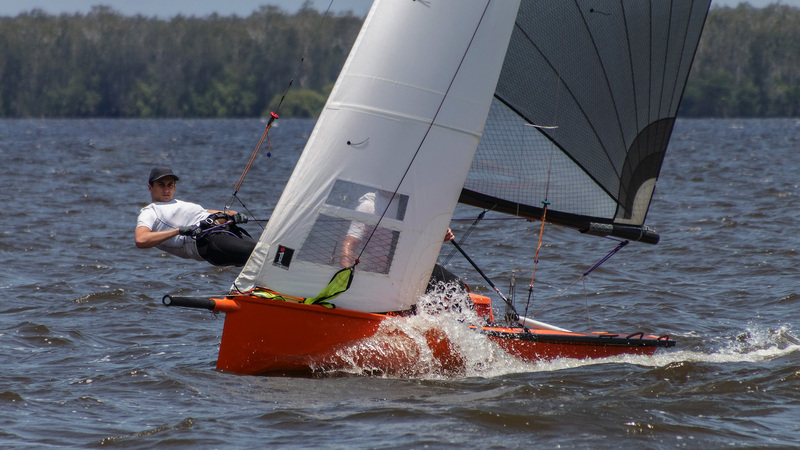 ‘The Lake’ is home to the developing fleet of new Javelin sailors that are leading a revival of the class in Queensland. The expansive flat waters and predominate sea breezes together with a range of accommodation options make ‘The Lake’ a fantastic location for the regatta. destinations, making it a holiday that everyone will enjoy. Come for the sailing, but then stay for a while and explore! The titles will be held over Easter 2020 from Friday 10th to Monday 13th of April. Lake Cootharaba Sailing club also holds an annual Easter All Boats Regatta, so ‘The Lake’ will be very busy. However the Javelin’s will have their own start and course. Being Easter and a popular destination, it’s important that Javelin Sailors book accommodation ASAP to avoid having to travel too far before and after sailing. Outside of these ‘The Lake is a 15 minute drive from Tewantin and 20 – 25 minutes from Noosaille/Noosa where a huge range of accommodation options are available. See follow this link for accommodation contact details at ’The Lake’ and nearby camp grounds. Lake Cootharaba sailing Club has a secured boat storage facility located 5 minutes walk from the club. Several of the local Javelin sailors also live at The Lake or a short drive from it and have properties that can accommodate delivery/storage of containers and/or trailers. Once rigged, the boats can be left on the beach or sailing club surrounds with the mast up. Post regatta the local Javelin sailors will assist with coordinating the collection and transport of boats.